Today, we have to tell a bad news for those who each year, beginning from 2011, bought EA SPORTS Season Ticket and were able to enjoy the Electronic Arts’ projects in the sport simulator genre before other gamers. The announcement that this year EA SPORTS Season Ticket will be offered for the last time has appeared on the official site of FIFA 15 game today. According to the information, Madden NFL 15, NHL 15 and FIFA 15 games will be the final projects included in this program. As it was previously, EA SPORTS Season Ticket will provide you with early access to the abovementioned games, the opportunity to use Ultimate Team packs for 24 weeks and with 20% discount on the future games’ add-ons. But the nicest thing is the new EA SPORTS Season Ticket’s price. This year, Electronic Arts has decided to shave its cost, probably due to the fact that this service is offered for the last time, from $24.99 to $19.99. It seems that it’s one good news for today. As usually, only the owners of Xbox 360 and PS3 are able to buy EA SPORTS Season Ticket. Those who have Microsoft’s current-gen console can purchase this pack already today, and the latter ones will be able to buy it from the 26th of August through the PlayStation Network. And what do you think about this news? 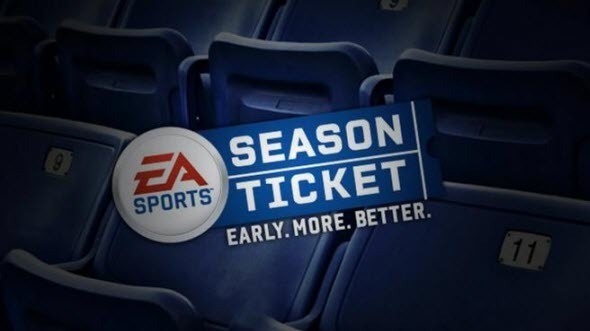 Did you buy EA SPORTS Season Ticket previously? Are you going to do it this year? Let us know in the comments below.